What’s the first thing people will see when visiting your YouTube channel? Yep, the channel art and avatar. You don’t have to be a Photoshop wizard to make your channel look cute and co-ordinated! Using similar colour schemes for your avatar and channel art give a professional appearance to your channel homepage. 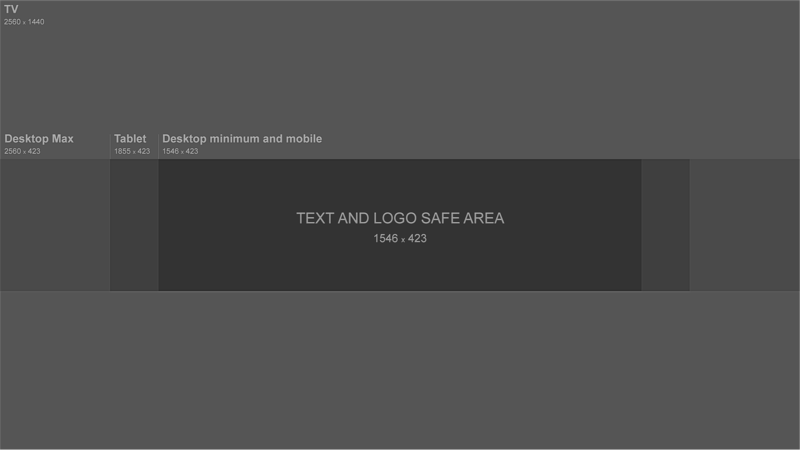 If you’re having trouble getting your channel art to look good across different mobile devices, try using this handy template to design your artwork. When YouTube users visit a channel, they are looking to find engaging content from a YouTuber that they love. If we don’t find that content right away, we tend to leave the channel a little unimpressed…and definitely NOT subscribed! “How do we avoid disappointing our potential subscribers? !” I hear you cry — why, feature your best moments on your channel homepage of course! Creating playlists and shelves on your channel can prove to be a valuable trick, even for those who are yet to upload any content at all. Keeping your channel neat and tidy will give the impression of an active user in the YouTube community, and you could even pick up some subscribers based on the interests you share via playlists! You see the sidebar to the right of your channel homepage that you’ve always ignored? That’s where your featured channels go! Feature any channel you fancy (we recommend 3–7 different channels), from creators who’ve inspired you to YouTubers you’ve collaborated with. And hey, if you ask super nicely, those channels may even feature your channel on theirs! This is called cross-promotion, and it’s a great way of building your audience. …That’s a question potential subscribers shouldn’t have to ask! From the second they arrive at your channel, YouTube users’ interest in you will be based upon what kind of content you create, how often you upload and how you portray your uniqueness. Include information such as upload frequency and type of content in your channel art. Make sure your channel ‘About’ section is up-to-date and that your bio is informative and full to bursting with personality! Customise your video thumbnails to define your own style. Thumbnails can act as a branding tool, and users will recognise your videos all over YouTube! And with that, we have reached the end of today’s Tip-Top Top Tips for YouTube channel optimisation. These five pointers will set you on your way towards your shiny new channel, but if you’d like further guidance or want to know a bit more about Laika Network, stay tuned for regular blog updates or email info@laikanetwork.com. So You Want To Be Successful On YouTube?